Cities on the Move is an intense and energetic exploration of the fast-changing Asian urban scene, seen through visual arts, architecture, film and video. The exhibition presented the Asian city as a force of disruption and an intense concentration of energy. Including the work of over 100 artists, architects and filmmakers, much of it unfamiliar to European public, explored themes of communication, ecology, migration, speed, traffic, density, growth, boom and bust in a new global economy. The show has been staged in Vienna, Bordeaux, New York and Copenhagen before coming to London, and changed with each successive showing. inIVA was invited by the Hayward Gallery and both curators Hans Ulrich Obrist and Hou Hanru to commission a group of artists to create work for ‘Cities on the Move’. The invited artist’s were Philip Lai, Indika Perera, susan pui san lok, Alistair Raphael, Erika Tan, Simon Tegala, J.J. Xi, Mayling To and Cai Yuan. 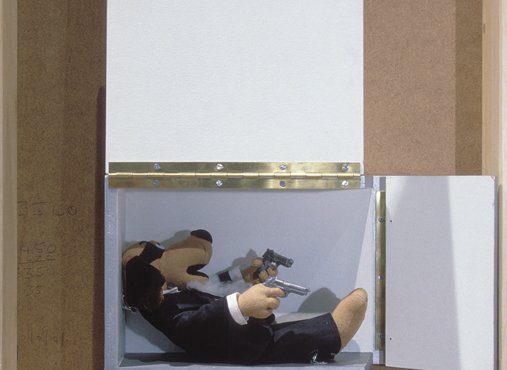 The exhibition was shown from 13 May – 27 June 1999 at the Hayward Gallery, London.